This engagement party was something to sing about. 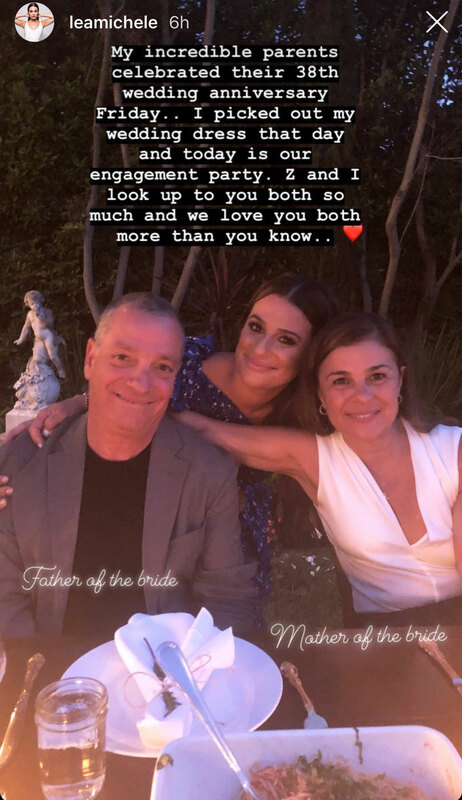 Glee actress Lea Michele celebrated her future marriage to Zandy Reich this weekend at a backyard engagement party complete with her family members and many of her celebrity friends. 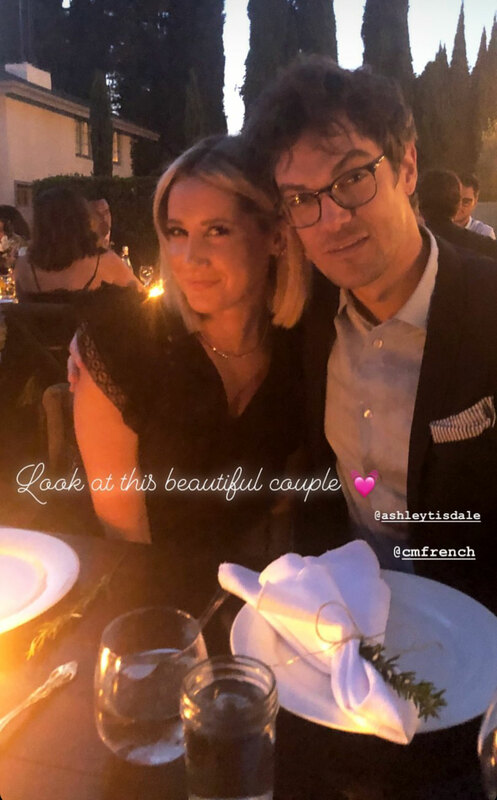 Michele’s close pals JoAnna Garcia Swisher and Stephanie Levinson planned the outdoor party, which took place at sunset on Sunday, July 29. These amazing and beautiful best friends of mine threw me and Z the most incredible engagement party last night! @stephaniehartlevinson & @jogarciaswisher I love you both so much! 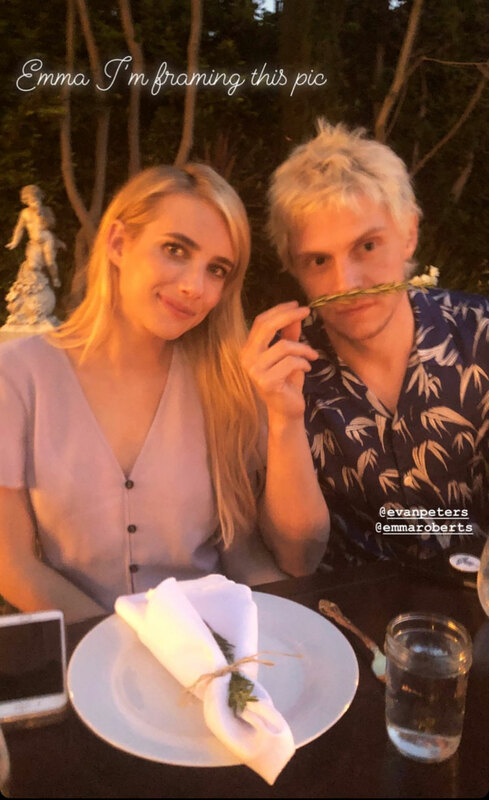 Celebrity guests included Michele’s Glee co-star Becca Tobin, as well as her Scream Queens colleagues Billie Lourd and Emma Roberts. 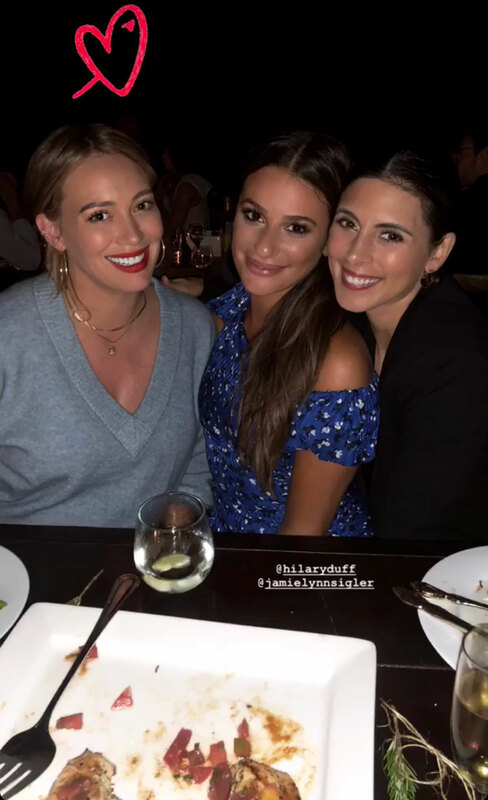 Other stars like Ashley Tisdale, Hilary Duff and Jamie-Lynn Sigler also joined the festivities. 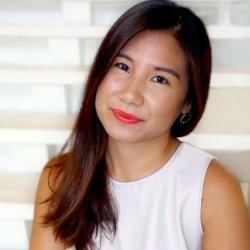 The couple got engaged in April on the beach in the Hamptons. 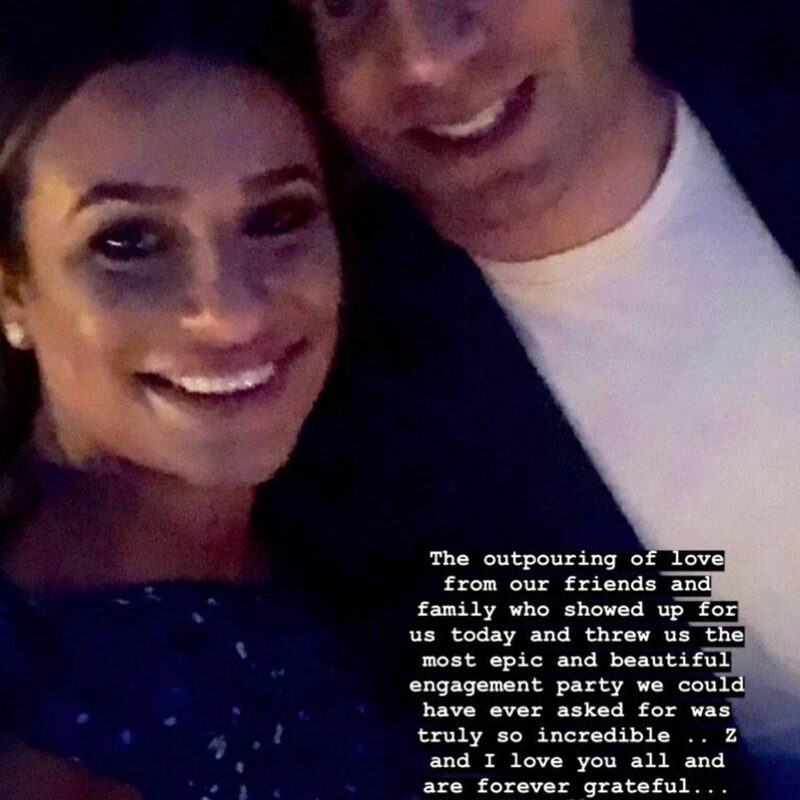 Be the first to comment on "Lea Michele’s Engagement Party With Zandy Reich Was “Truly So Incredible”"